WILLIS, ROBERT, Church of England clergyman; b. 6 Aug. 1785 at Stillington, County Durham, England, son of John and Mary Willis; m. 19 Oct. 1819 at Halifax, N.S., Ann Maria Heaviside (d. 1821), and they had three daughters; secondly, on 12 July 1825 at Saint John, N.B., Mary Billopp, and they had four sons; d. 21 April 1865 in Halifax. Robert Willis entered Lincoln College, Oxford, in 1804 and graduated ba in 1808. He was ordained a deacon of the Church of England and appointed curate of Richmond, Yorkshire, on 25 September of that year, then ordained a priest by the bishop of Chester on 10 Sept. 1809. In May 1812 Willis joined the Royal Navy chaplaincy service; he was posted to hms Queen (1812–13), Bulwark (1813–15), Akbar (1815–16), and Forth (1816–17). He resigned from the navy to enter the service of the Society for the Propagation of the Gospel in July 1817. Shortly thereafter he was sent to Trinity Church, Saint John, N.B., to assist the Reverend George Pidgeon, whom he succeeded as rector on 13 Nov. 1818. Willis was appointed ecclesiastical commissary in New Brunswick for Bishop Robert Stanser* on 2 April 1821. On the appointment of John Inglis* to the see of Nova Scotia, Willis was named his successor as rector of St Paul’s, Halifax, on 11 Oct. 1824. 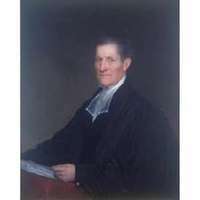 This nomination raised a storm of opposition since the majority of the congregation favoured their more evangelical curate, John Thomas Twining*, for the position. The parish was torn asunder and almost two-thirds of its members left St Paul’s. Some of the most influential and wealthy, including James W. Johnston*, established an independent chapel, which later joined the Baptist church, giving the latter a tremendous impetus in Nova Scotia. Many of the others went to St George’s Church where Robert Fitzgerald Uniacke became rector. Willis’ ministry at St Paul’s was exceedingly difficult at first, but his conciliatory spirit eventually earned him the goodwill of his congregation. He was appointed archdeacon of Nova Scotia and Prince Edward Island in 1825, and in April of the same year, chaplain to the Nova Scotia Legislative Council, a post he held until his death. In 1826 he was admitted a Lambeth dd by the archbishop of Canterbury, and in 1848 King’s College, Windsor, granted him a dcl in recognition of his services to Nova Scotia. The 40 years which Willis spent as rector of St Paul’s saw a great many changes in the church and the parish; however, his particular gift was his ability to react to the events without causing controversy and to help his church adjust to the changes. Church of England, Diocese of Chester Archives (Chester, Eng. ), EDA I/9-I/10 (Bishop of Chester’s Act Book, 25 Sept. 1808, 10 Sept. 1809). Durham County Records Office (Durham, Eng. ), Redmarshall parish registers. Lambeth Palace Library (London), Faculty Office records, FI/Y, ff.121v–22. N.B. Museum, Marriage register A (1812–28). PRO, WO 7/67, 1812. St Paul’s Anglican Church (Halifax), marriage register, 1816–22; burial register, 1855–1902 (mfm. at PANS). Trinity Anglican Church (Saint John, N.B. ), papers, 1790–1860. USPG, Journal of SPG, 31, p.285 (19 Dec. 1817); 35, p.43 (11 Oct. 1824); 36, pp.135–37 (19 Dec. 1825). Alumni Oxonienses: the members of the University of Oxford, 1715–1886 . . . , ed. Joseph Foster (4v., Oxford and London, ). University of King’s College, Calendar (Windsor, N.S. ), 1872–73, 56. G. H. Lee, An historical sketch of the first fifty years of the Church of England in the province of New Brunswick (1783–1833) (Saint John, N.B., 1880). 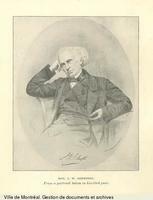 C. E. Thomas, “WILLIS, ROBERT,” in Dictionary of Canadian Biography, vol. 9, University of Toronto/Université Laval, 2003–, accessed April 22, 2019, http://www.biographi.ca/en/bio/willis_robert_9E.html.